SAFETY THERMO® with Shape Memory Alloy (SMA) coil responds to temperature changes more quickly than traditional wax-based systems, offering a more reliable and enjoyable showering experience. 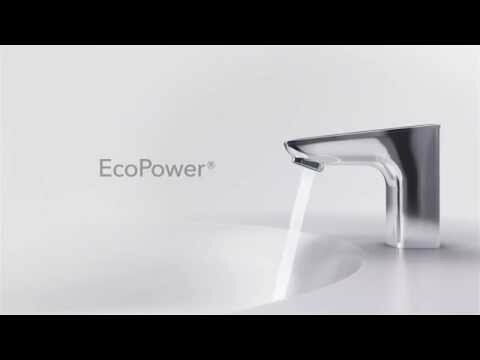 TOTO's Ecopower sensor faucets are operated entirely by hydropower. The flow of water spins the high-efficiency turbine to both create and store power for operation.